If you are looking for your next luxury compact SUV in Scottsdale, explore the 2019 Jaguar E-PACE at Jaguar North Scottsdale. Find out more about the Jaguar E-PACE capacity, convenience, and luxury that awaits in the interior. Then contact us for a test drive and see it all for yourself! 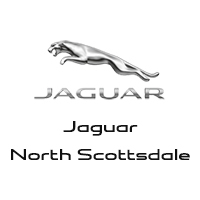 Browse our inventory to find a new Jaguar E-PACE for sale at Jaguar North Scottsdale near Carefree. Before you visit for a test drive, be sure to check our current Jaguar specials so you don’t miss out on a great Jaguar E-PACE deal!